Mother’s Day thoughts. A Tale of Two Entities. This article was conceived after being flooded with thoughts after reading the interesting article in Gaian Times 3 (www.gaiantines.co.uk) by Vathani on Mothers and Daughters. I was drawn to read it and contemplate the issues explored because my own Mother passed away on 5th December 2011 due to bronchial pneumonia. To cut a long harrowing story short, she fell off of the seat of an armchair and broke her hip. She also suffered a couple of heart attacks whilst in hospital but survived them. 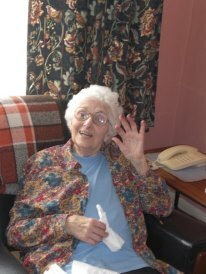 She had a long painful, scary struggle learning to walk using a zimmer frame and after all of that she contracted pneumonia and passed away after a horrendous few days fighting for each breath on an oxygen mask. My relationship with her was very difficult. My childhood home was experienced by me as a hostile environment. Communication between my mother and me was during my childhood was her shouting and me saying sorry and trying to melt into the background to be invisible, which is what she wanted me to be. I just report this as fact, not to tease sympathy from you, because it is all relevant to this article. I left home and moved to London and when I visited the family home, we never referred to my childhood. Conversations between me and Mother were short and surface. But we made some significant headway when she was in hospital during that final period of her life. Things were not aired and no apologies were given as this is the real world and unlike story land things are not often flowery and resolved one hundred percent and we do not live happily with big beaming smiling faces ever after without another care ever. But an improvement of any kind can initiate a healing process within you. This is an outline of how we did just that, well, in so far as our emotions and the situation allowed us to. I am going to use some concepts that I learned whilst studying MA Psychoanalysis. Let me clarify immediately that I am not a qualified counsellor and that I gained my MA through studying the theory side of psychoanalysis which interested me, as do all matters relating to dreams, symbols and the unconscious and their effects on me and on you. Vathani outlined the Freudian theory of the three components of the mind as focussing on a tripartite system composed of the id, ego and the superego. I will now give a very simplified and brief outline of a different psychoanalytical theory of how the mind becomes a structure. This is based on the work of child analyst Melanie Klein as discussed in her paper “On Envy and Gratitude “(1956). If you would like to read her work I recommend “The Selected Melanie Klein” edited by Juliet Mitchell. Klein proposes that at the start of life the totally dependant infant relies on the mother for everything. Klein says that this forms the basis of what she calls “object relations”. The Mother’s breast/bottle that provides the milk is instinctively felt to be the SOURCE of nourishment and of life itself. If this initial relation goes well and is not too frustrating then the Mother, in the child’s view is turned into a good object. So important is the Mother Infant relationship dynamic that Freud described it as the “precursor to all love relationships” The time in the womb creates the innate certainty that an object exists which will provide for every need without the need to ask for it. However it’s real life and frustrations inevitably occur because the breast/bottle cannot be there on tap as soon as the demand arises. The infant re-members the womb state and how it was un-frustrated as all needs were met. It is not possible to re experience that first relationship, in conditions like that. We can never get our demands met in such an unselfish way by outside objects. “Why is it that the breast/milk is sometimes withheld from me when I feel the need to eat? “the infant asks itself. The only way it can grasp the idea of this is that there are two kinds of object, The Good One and the Bad One. The infant imagines that these two types exist and forms imagos of these two and they are separate entities/objects. So frustration and destructive, persecutory anxieties are born and the innate conflict between love and hatred, towards life and destruction. The infant’s early life is focussed on a sense of losing and regaining the good object that brings nourishment, comfort and therefore life. This is experienced as periods of absence and presence. Briefly, Klein argues that a key component arises from this period, envy. Envy contributes to the infant’s difficulties. It is crucial to understand the definition of envy. It is that powerful feeling of anger that invades your mind when it is imagined that another person enjoys (very important aspect ENJOYS) something that you desire. It is “imagined” from the Kleinian analyst’s perspective, that the infant asks itself “When the breast/bottle is not feeding and satisfying me, where is it? That bad breast/bottle/object. Who is enjoying it? Who is keeping it from me?” It is envisaged that in the infant’s self-tortured mind, its desire to possess the awol object creates so much anger, persecutory feelings and frustration that it wants to attack and put bad things into the object to spoil the imagined other’s enjoyment. If I can’t enjoy it, no one can. I will make sure of that. The infant keeps the Good Breast/Object completely separate in its mind from the Bad object. It only later realises that they are one and the same object and then it goes through a phase of guilt and confusion because by attacking and spoiling the Bad Object, thinking that the Good Object was separate and safe, in fact it attacked the same object mentally and tried to spoil it. They were one and the same and I wanted to destroy it. My source of food and life. If the enjoyment is frequently experienced then the infant takes in to itself/its mind or “introjects” a Good object that it can rely on and it feels relatively secure that the world is a safe, giving & nourishing place. He/she imagines/feels that she has secure Good object and it experiences gratitude that it can live without too much envy and interfering. No need to use those destructive, spoiling impulses. Klein further proposes that at the basis, envy is also directed at creativeness of yourself and others. This is because at a fundamental level, the contents of the bottle/breast are unconsciously felt to be linked to the source of life itself. My daughter pointed out to me that in the supermarket she has noticed that the celebration cakes are often smashed up and destroyed by people. I think this is a good example of envy at work. The cakes are expensive so not everyone can afford them so the good objects are demolished so that others cannot possess and more importantly, enjoy them. To get back to my Mother relationship. As previously said, I had a difficult childhood with her. Briefly, years before I came on the scene, my parents had a baby boy, Len. He developed a problem with feeding and his thymus gland and died at three months old. My father didn’t want more children, but my Mother was surrounded by women with children and wanted a baby so my dad agreed. So along I came. But, I had immediate feeding problems and was taken to Barts Hospital. They thought that I would die as indications were that I had the same problems as Len. My dad visited me and as soon as he walked in, I seemed to smile. Obviously this was wind but he was overcome with joy and raced back to the other hospital to see my mum and exclaimed to her “She KNOWS who I am. She smiled at me” I obviously survived, but because of what happened to the earlier baby and because my father perceived that I instantly loved him and bonded with him, he took over tending me and my mother felt estranged from me. So when I was 9 months old, my mother asked for another baby and said that this one would be hers as I was not. I was my dad’s. So my sister was born and a dynamic was created that coloured my childhood and my adulthood and crucially the relation between me and my Mother. My internal Good Nurturing Object was seriously impaired. The reason for my Mother’s “rejection” (how I experienced it) of me was explained after her passing. All I had known was that I had done something as a tiny baby that put her off me as she repeatedly said to me “I had your sister because I didn’t want you. You are your father’s and she is mine” I had worked out the pregnancy times and thought I must have done something terrible during my first 9 months. (it was revealed that all I did was pass wind or a stool and smile!!) Now I understand what happened and although it cannot rewrite what I actually experienced during my childhood, I can rewrite what I think about it, how I explain it to myself. That is healing me. So it is never too late, as Vathani said, to revisit your Mother relation and heal it. Like I said, my Mother and I never spoke about my childhood. There was no great healing conversation with apologies and explanations before she passed over. But there was one time that I hold to which I feel helped her and me to shift our dynamic on to a different level. As explained previously, my Mother initially went into hospital due to a broken hip> She had the operation and a metal plate was put in and then she had to learn to walk again using a zimmer frame. Mother was in pain and found this so hard. Also she has always been such an independent woman and needing nurses to help her get dressed, wash and go to the toilet robbed her of her dignity and most importantly, her confidence. I was with my family at the end of a visiting period when the nurse shooed us out and told my Mother that she was to get up and go to the bathroom. The others left the room but I glanced back and saw the fear on my Mother’s face. She had tears forming in her eyes. At that moment, I disregarded all of the bad memories of how my Mother had withheld love and support from me and been mean and I asked if if she would like me to stay and help. She looked up, so surprised and said she did need my help if that was alright. I asked the nurse if I could stay and she agreed. I will never forget the look of gratitude in my Mother’s eyes. She knew that I had picked up on her fear. I helped her to get up and walk and we took it slowly step by step. I told my Mother that what she had to do when I was not able to be around was to call up the image of me being there (as a Good Object in her mind and not to spoil it with thoughts of envy about me being my father’s object –although of course I didn’t say that) and that she would feel safe to get up and walk. My father said that she told about it later and her eyes and voice were full of wonder as she described that I had been a Tower of Strength to her. The best she had ever had in her whole life. She didn’t mention this event to me but I think that for me and her, that was an important breakthrough and changed the dynamic and the memories of how our relation had been. I had been “in the moment” when I looked back and saw her fear and acted upon it. Outside of our usual Mother and Me space and time. A moment, properly recognised and used, can shift a relationship. We all have another Mother that we should acknowledge on Mother’s Day too. The lovely Mother Nature. Mother Earth. As the chant goes “Mother I feel you under my feet. Mother I feel your heartbeat”. She is the Source, the Mother that provided the nourishment and womb, environment for your Mother and father and your ancestors to live in and create you and your descendants. Mother Nature is composed of diverse aspects/parts and people categorize them into positive and negative, Good and Bad objects. We create internal relationships with these aspects by giving them God and Goddess names and forms. Some of them we like and they become Good objects and some of them we are not so keen on and so they become Bad objects. If humans feel that Mother Nature is looking after another group better or they are following in that path in a different way than we would like, we tend to denigrate, criticise and spoil their Gods/Goddesses. It is the same Mother Nature that brings us tsunamis, surfers’ waves, gentle cooling showers, monsoons, earthquakes etc. We do not often have to go looking for what we need for her to provide it for us. Do we have to ask the Moon to turn the tides or turn the monthly cycles that allow menstruation to create the conditions for the seed of us to be planted? There are some natural processes that we can just trust that after their absence, we will see their presence. The daily journeying of the Sun is a fine example. Nature has an innate intent to create and provide nourishment and sustaining conditions for its creations. Yet our greed as a species and our demand for more enjoyment is compelling us to plunder, hoard, seize ownership and spoil our resource pool of things that will sustain us. We are damaging our Good object. I wonder if we have a nourishing, creative relationship with our human mothers or if we can take steps to heal, even in part our not so ideal relationships with our Mothers, whether it would positively affect our relationship with Mother Nature. She is I believe the lost good object that knows our needs innately and offers us nourishment and creative solutions without us having to search for them. We move from the womb of our human Mother to the Womb of Mother Nature and if we learn and heed her workings and trust in her ways, she will live in us as the Good object that we are always seeking for in others of our species. To her we are all equal. This entry was posted in Dreams, Language and The Unconscious, People, SOW School Of Wyrdynamics and tagged broken hip, daughter, Death, hospital, Melaine Klein, mother, Mother Nature, the unconscious. Bookmark the permalink. Such an interesting analysis, Rose. This is timely for me as I am going to my own mother’s funeral tomorrow – she died at age 99, in a nursing home. I generally did have a reasonable relationship with mine, but there were very difficult patches – especially when I reached my teens. She told me some very dreadful things then which it took years to come to terms with, about abortions. I was not able to have children of my own, which has been one of my greatest sadnesses. It is great that you were able to cross that bridge and make the connection – as you say, it is never too late.